The 2019 Call for Applications of the UNESCO Creative Cities Network is open! 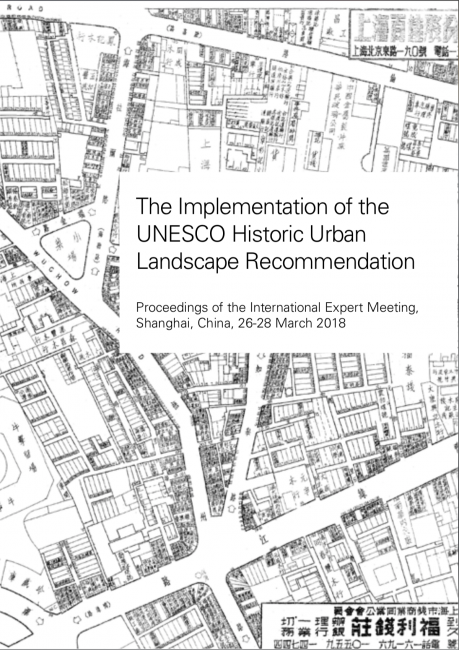 WHITRAP announces the online publication of the Proceedings of the Expert Meeting “The Implementation of UNESCO Historic Urban Landscape Recommendation” held in Shanghai, China, from 26th to 28th March 2018. Urban living is increasingly becoming the most common mode of habitation. Urban areas are coping with the pressure resulting from increasing population, uncontrolled development, environmental issues, scarcity of resources, and raising inequalities. New perspectives are required to take into consideration people’s social, economic and cultural needs. The 2011 UNESCO Recommendation on the Historic Urban Landscape (HUL) provides an innovative integrated approach to urban conservation and sustainable planning. Seven years after its adoption, there was a need to review its implementation. In March 2018, the International Expert Meeting “The Implementation of the UNESCO Historic Urban Landscape Recommendation” gathered at WHITRAP Shanghai different generations of experts to address the role of the HUL approach. The meeting aimed to discuss and analyse its implementation, and to highlight the difficulties and opportunities that lie ahead for urban heritage (Cf. Issue 40 p. 27-29). The relevance of the HUL Recommendation was discussed considering different scales, from small settlements to the metropolis, specific urban typologies, from walled cities to modern heritage, and to means of linking culture with nature, climate change and the intangible. The Shanghai meeting underlined that HUL has the potential to rethink some of the established practices of the 20th century moving “beyond” traditional approaches, and that it can support national urban policies to align them with the UN Sustainable Development Goals. The Proceedings aim at recording the debates and the presentations made in Shanghai and at sharing them with the largest possible audience. It is hoped that this online publication will contribute to reach out to young generations of decision-makers, practitioners, and researchers and support the process of the implementation of the Historic Urban Landscape approach connecting it with the larger framework of UNESCO efforts to promote the role of culture for sustainable development.